I studied children's fantasy literature in college, and academically speaking, fantasy is one of the best genres for children (and adults). The benefits are practically limitless: fantasy books develop imagination and creativity, they have strong and courageous protagonists, they're a way to think about societal issues in a removed and unbiased way, and they teach children fantastic morals (i.e. that good and evil exist, and that the good trumps the evil). EDIT: I had three more paragraphs about the benefits of reading fantasy novels, but I'm trying to stay on track here. 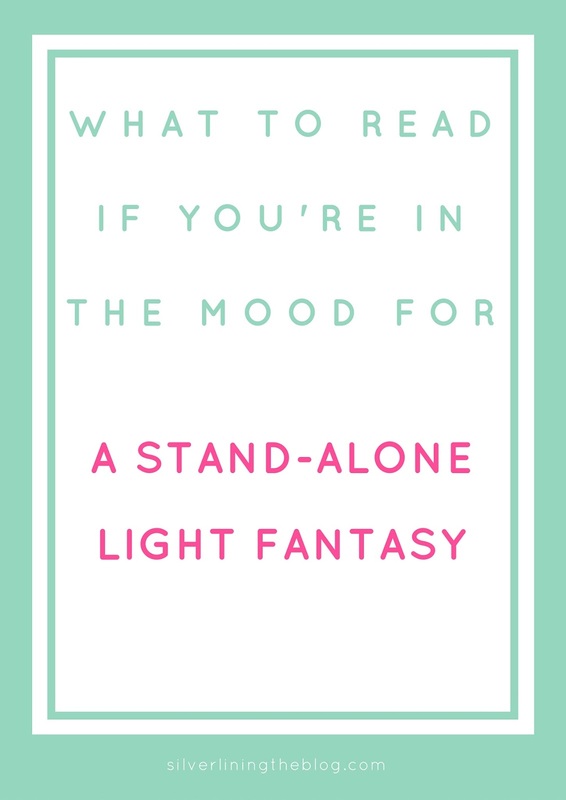 The bottom line is that fantasy novels are exceptional for you. Read them, read them with your children, the end. What I don't like about fantasy novels, especially today, is that they often come in huge series. You can't just read a fantasy book these days. You have to commit to the whole series, and pretty soon you've invested way too many hours, there are one million backstories to keep straight, and everyone has three names and is the Lost Princess of Somewhere or Other. Some people love delving whole-heartedly into the backstories and intricacies and made-up languages of epic fantasy series, but I really start to lose interest at that point. So today I rounded up a list of my favorite stand-alone fantasy novels. They're fun, they're involved, they have fantastic endings - and you don't even have to wait for the sequel, or wonder why on earth a sword has four names, its own set of special powers, and it's own chapter-long backstory. You're welcome. Le Cirque des Reves, the Night Circus, pops up in the middle of the night without warning or advertisement. The world inside the circus is magical, fantastical, and full of whimsy - led by two illusionists who are supposed to be competing against each other but fall in love instead. There were a few gaps in the boundaries of magic, and a few gaps in the love story for me, but I still really loved this book, and it's been really popular since it was published. The main character has one of the most unique and memorable voices I've read in a long time. The writing style is modern, jumpy, and metaphorical, which means lots of my readers won't like it, but I couldn't get enough of this book. It's set in a village with a haunted swamp, a plucky (witch!) heroine, and an incredibly sweet love story. This retelling of Sleeping Beauty is fun, historically accurate, engaging, and has just the right amount of magic. I loved the author's interpretation of the story, and the narrator really drew me into a world of opulent castles, love and lust in medieval times, and one sorceress with an evil plan. While this books is technically a prequel to the super-involved Lord of the Rings trilogy, it's also a fun stand-alone book that was originally written for Tolkien's own children to enjoy. It's short and easy to read, it's full of adventure, and it's truly one of the classics. This book has it all: kingdoms on the verge of collapse, powerful wizards, a cursed prince. But it's fresh and new and doesn't feel like it's recycling any classics. I think there is a sequel, but the entire story is a stand-alone, powerful, neatly-wrapped-up story. If you don't mind a good long fantasy series, my favorites are Harry Potter (duh), LOTR (also duh), and the Throne of Glass series. Or see what I'm currently reading and reviewing on Goodreads here! I'm also looking for a good fantasy series.